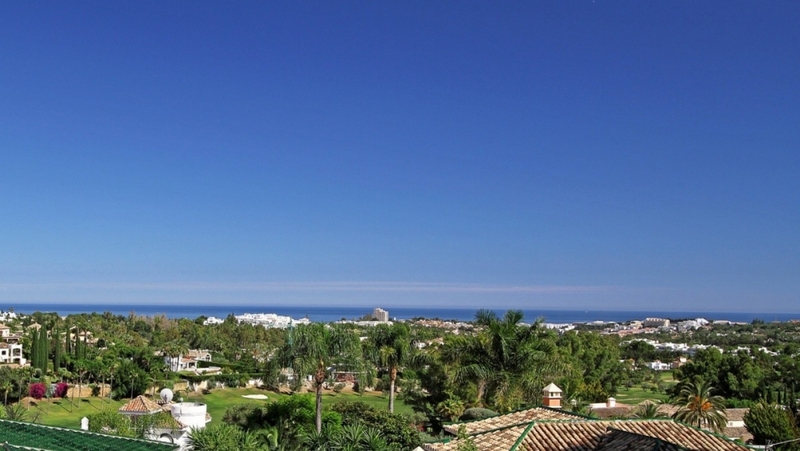 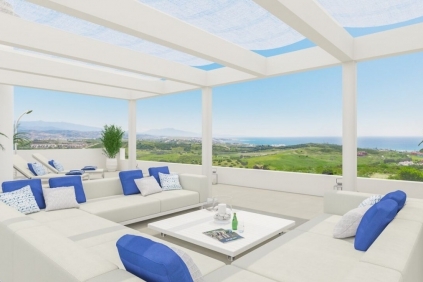 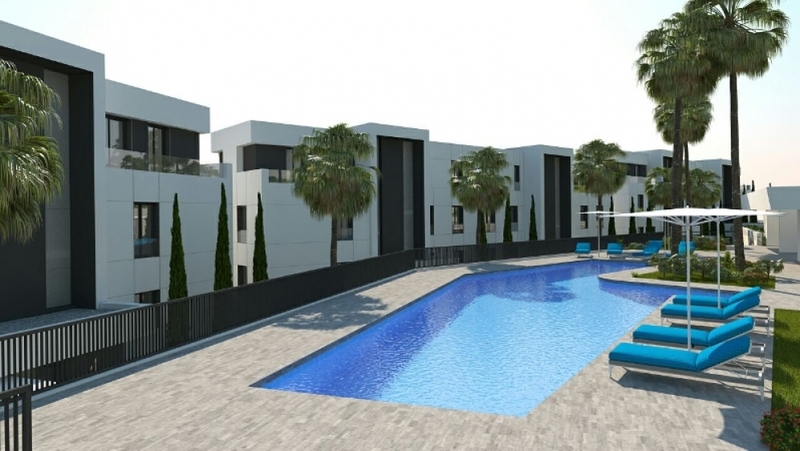 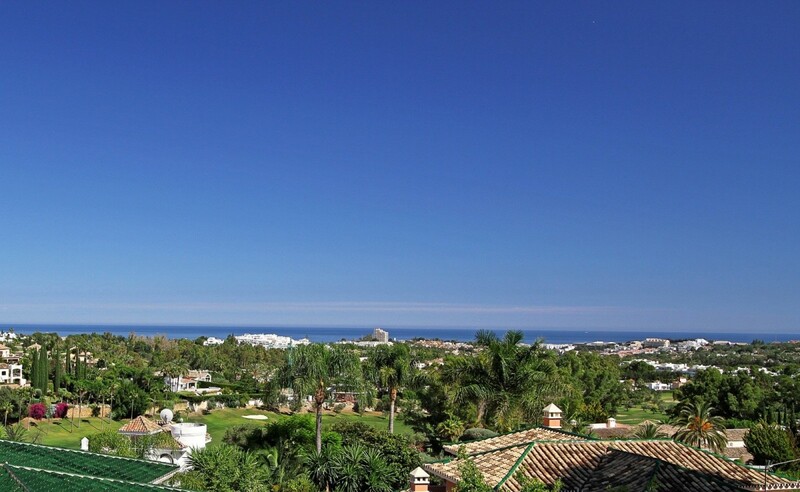 Exclusive under construction development in the heart of golf valley in Nueva Andalucia. 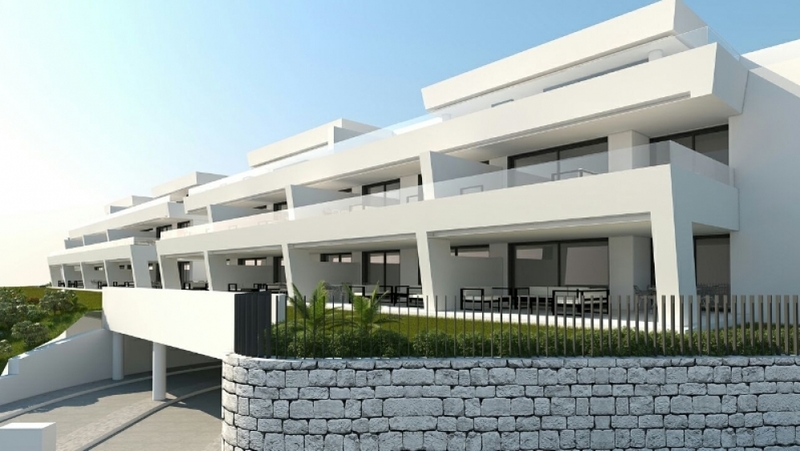 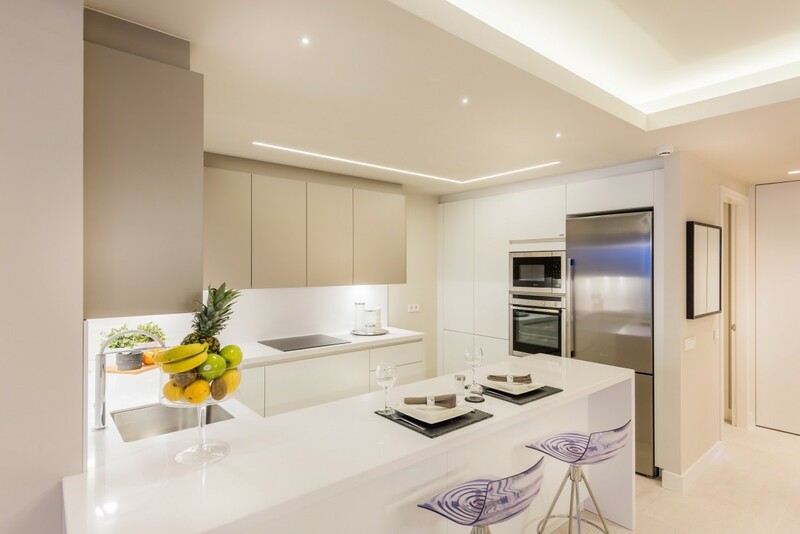 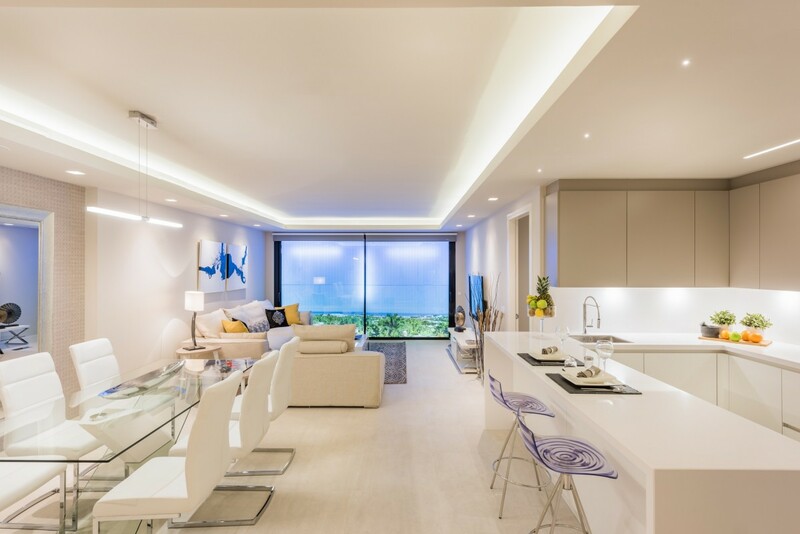 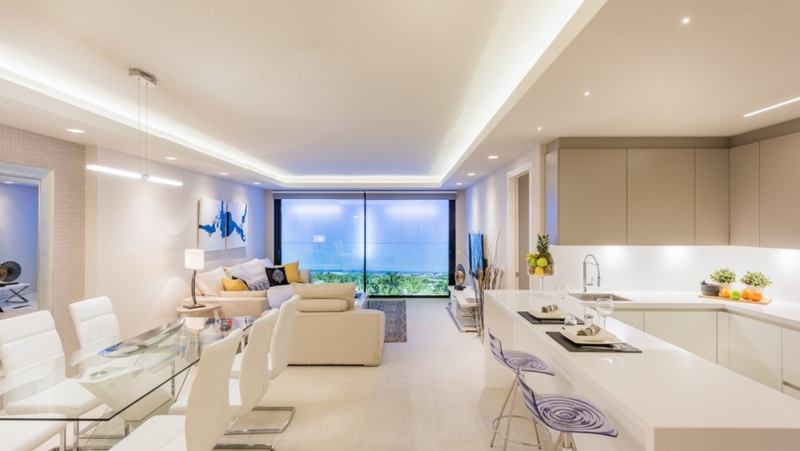 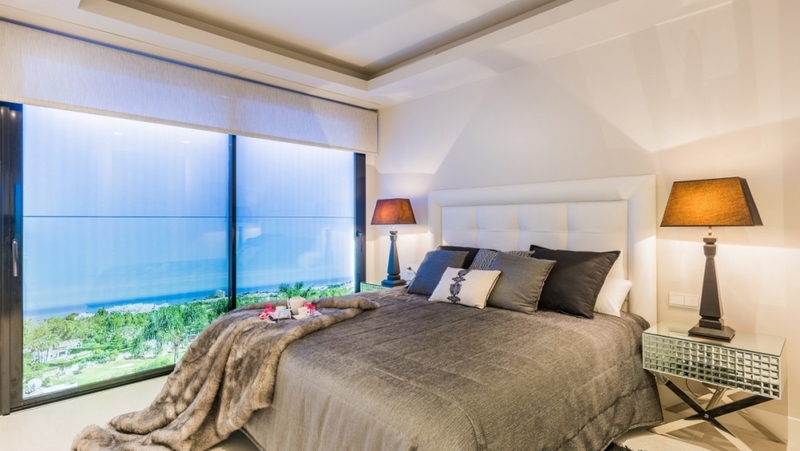 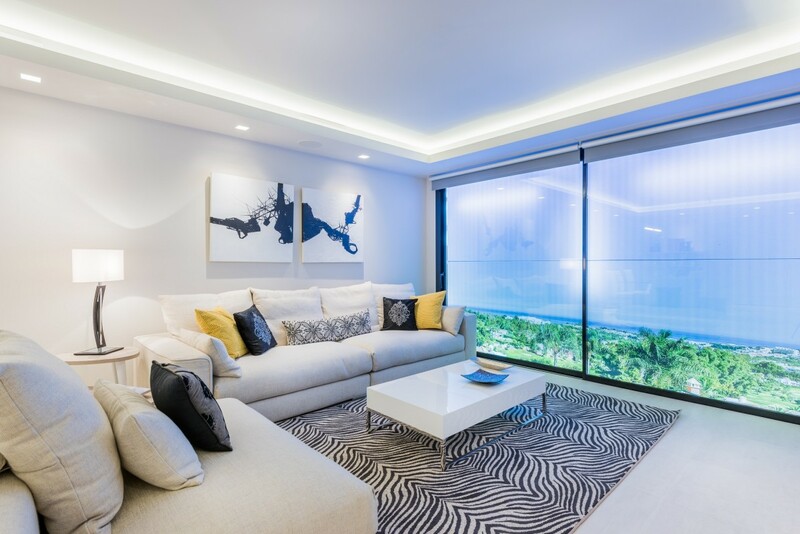 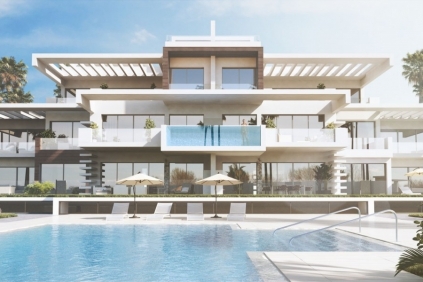 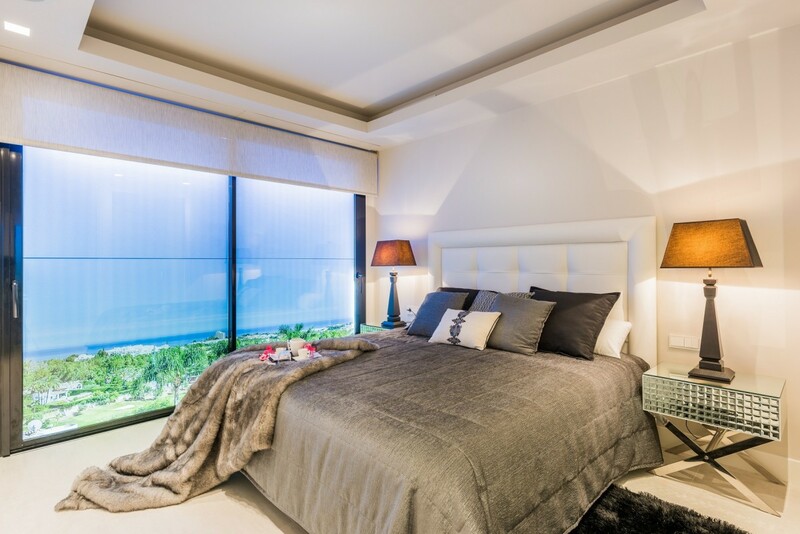 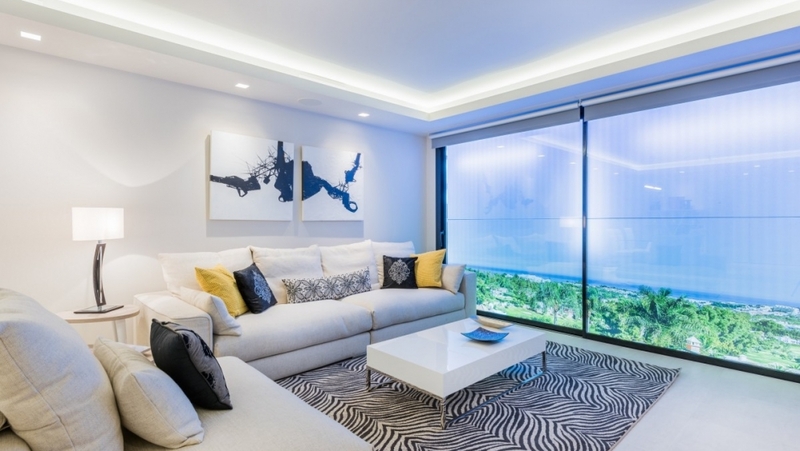 Modern contemporary 42 apartments (2 and 3 bedrooms) are located on a very attractive, exclusive plot of 7.500m2 and they will have stunning views of the coast to the sea. 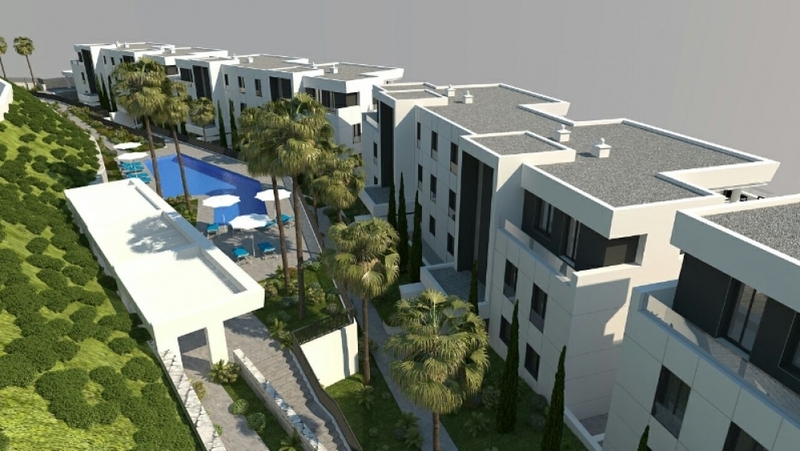 They are build to a very high specifications by an experienced and reputable developer. 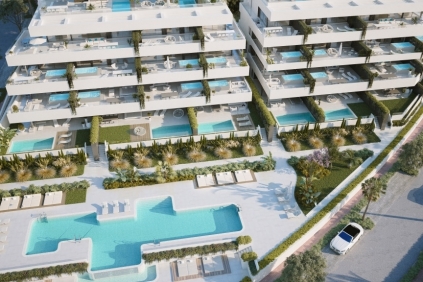 Apartments on the ground floor will have large terraces and a private garden as well as views from the coast. 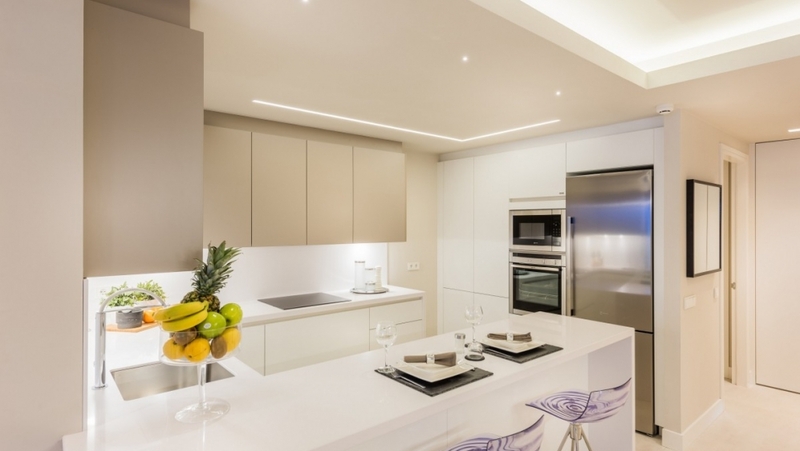 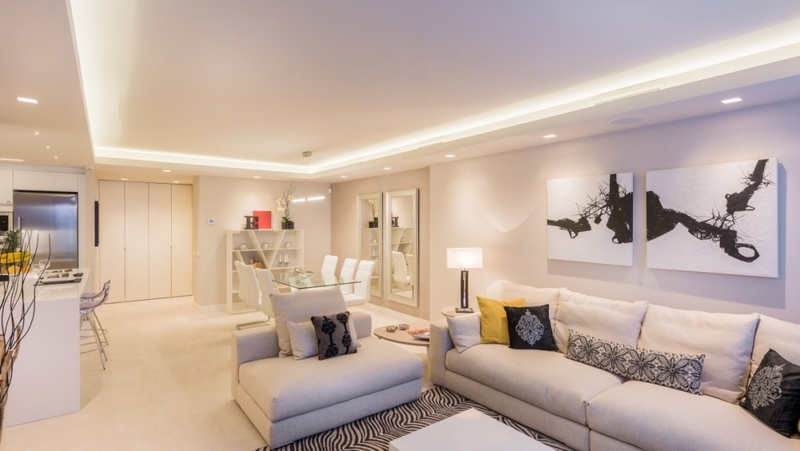 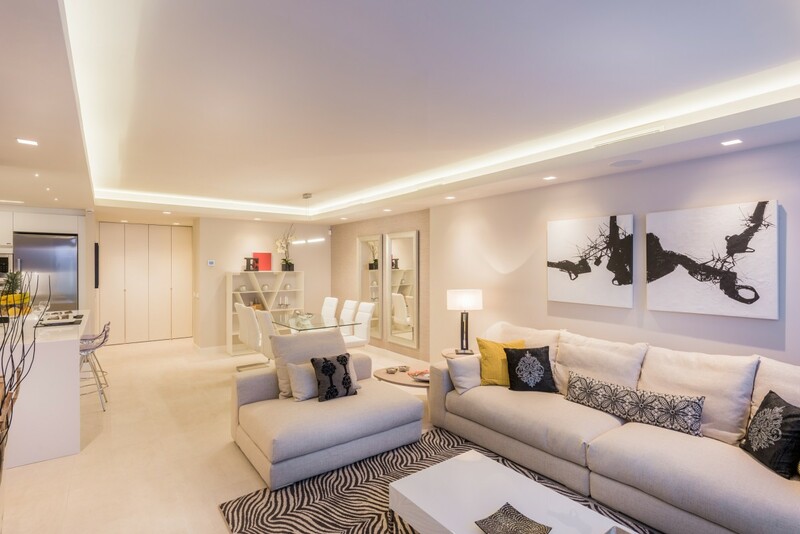 Two, three bedroom apartments on the first floor and on the top floor of each of the 9 buildings will be one level penthouses.This gated development will have communal gardens, swimming pool, spa with sauna and Turkish bath.